In today’s Age of the Internet data is everywhere – and every day brings more data. In fact, the amount of data readily available has already far surpassed the limit of individual human understanding. So how will us humans cope? How will our businesses cope? There’s a lot going on in this ever-growing industry … so best to keep up. Here are some of the most innovative and influential events coming up in the world of data analytics and technology. N.B. If you’ve arrived here looking for Datalabs conference speaking, you can find that here or our workshops, here. With fantastic networking opportunities, Innovation Enterprises’ Las Vegas summit hosts experts and leaders across a diverse range of industries. A mixture of exciting technology and real-world business studies are shared along with innovative ideas and best practices around big data. A full calendar of Innovation Enterprises events can be found here. VDA 2017 focuses on research, development and application aspects of data visualization and data analytics to create holistic and in-depth discussions based on the work and experiences shared by leading visualization researchers and practitioners from around the world. After starting in 1994, the conference has grown significantly attracting a truly diverse range of industries and keynote speakers. Set in the futuristic landscape of Tokyo, this conference brings together business managers, CEOs and visionary innovators to chart the course of the massive shift in business operations and decision-making that comes from today’s age of big data. Keynotes, demonstrations, case studies, technology expos and one-on-one collaborations showcase and delve deeper into hot data topics such as advanced text/image analytics, data lakes, agile operation, human/computer collaboration, machine learning, cognitive computing and more. Learn exactly what new technology and techniques should be considered and implemented in order for businesses to keep ahead in this ever-changing organizational climate. With two full days of networking opportunities, interactive discussions, insightful and educational presentations as well as panel sessions, this summit covers all things data and analytics including predictive analytics, cloud computing and more. This is the most comprehensive big data event in Canada. Leaders of big data and analytics come together to share insights and strategies into creating data-driven organizations, monetizing big data, discovering hidden efficiencies through data analysis, enhancing business decision-making with analytics and much more. Acknowledging and taking in its stride the revolution of big data, this conference is packed with tangible business case studies that reflect on real-world problems to provide valuable insight to participants. Targeted at analytics leaders, information management and master data management, senior IT and business leaders, and architects, this conference is jam-packed with speakers and exhibitors that are experts in getting to the bottom of information and analytics challenges. With five targeted conference tracks ranging from ‘Leadership and Organization: Build the Data-Centric Team’ to ‘Architecture and Technology: Modernize the Foundation’ to ‘ Master Data Management: Curate Your Most Critical Data Assets’ and more, there’s sure to be talks, case studies and provider exhibits that benefit everyone within the analytics industry. Gartner hosts 40+ of global events around IT and analytics. See all of them here. If your role involves machine learning, customer analytics, data mining, NLP & text mining or advanced analytics, this conference is for you! Leaders and innovators from the industry come together for interactive breakout sessions, keynote presentations and open discussion that allows participants to “forecast for the future”. Hear talks addressing ‘defining business goals for predictive analytics’, ‘customer analytics across multiple channels’, ‘using text analytics to extract value from unstructured data’ and ‘the challenges and opportunities arising from transitioning from predictive to prescriptive’. Plus, meet more than 250 Senior level attendees and more than 30 industry leading speakers (announced so far) over 20+ hours of networking. Along with plenty of networking opportunities with the expected 250+ senior level attendees, this summit focusses on the theme of ‘leveraging big data to maximize business performance’ and includes four tracks: Big Data Analytics, Data Science & Machine Learning, Big Data Strategy and Smart Cities. As with most Innovation Enterprise events, this summit boasts of great participant feedback with 95% of past attendees stating they would recommend the event to a colleague and 93% rating the event good to excellent. As the name suggests, this event is primarily for C-Suite Executives within the Data, Analytics & Digital space. Along with the expected information and inspiration that come out of traditional conference sessions, the Chief Data & Analytics Officer (CDAO) conference also prides itself on its inclusive approach to discussions and networking that allow participants to get a lot more involved. 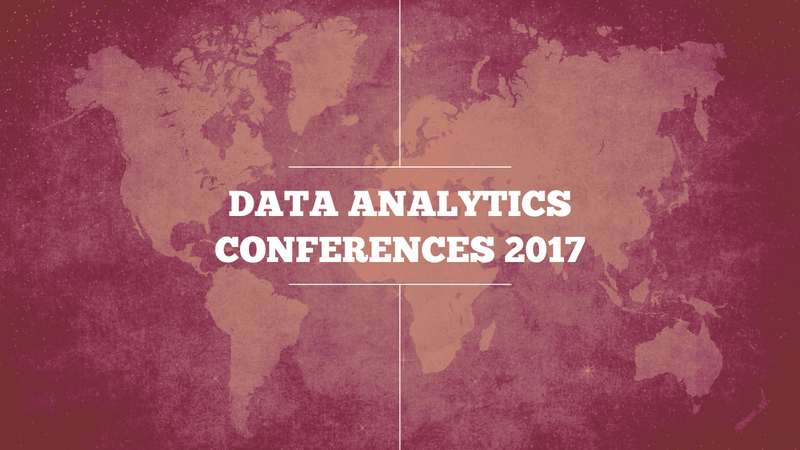 Themes included in CDAO Sydney 2017 cover data analytics in five core formats: The Role (the data-driven C-Suite), The Framework (data-obligation: managed and governed), The Science (data insight and intelligence), The Human Effect (culture and leadership) and The Defining Factor (the intelligence enterprise). These themes go deep into evaluating data analytics investment, prominence and acceptance in the boardroom; supporting data-driven decision making; democratising analytics to foster insight and cooperation throughout the organisation; and driving innovation, agility and business value. Corinium hosts a range of global events for the C-Suite Executives within the Data, Analytics & Digital space. See all of them here. Targeted at analytics leaders, information management and master data management, senior IT and business leaders, and architects, this conference is jam-packed with speakers and exhibitors that are experts in getting to the bottom of information and analytics challenges. With eight targeted conference tracks ranging from ‘Leadership and Organization: Build the Data-Centric Team’ to ‘Analytics for All: Reshape the Entire Enterprise’ to ‘ Master Data Management: Curate Your Most Critical Data Assets’ and more, there’s sure to be talks, case studies and provider-exhibits that benefit everyone within the analytics industry. IKDD brings together researchers, students and industry professionals interested in theory and applications of structured and unstructured data mining, search and analytics. In their 4th annual research conference in data science, Conference on Data Sciences (CoDS) 2017, topics around data analytics, machine learning and managing big data will be presented by leading experts in the industry from around the globe. Expect talks and panel discussions on data mining, text analytics, web and social media analysis, database monitoring and tuning, time series analysis and much, much more. While not just targeted for analysts, but also for those in other key roles within business and data, including strategists, architects, designers, developers and business decision makers among many others, this 4 day event kicks off with its first day dedicated to training, with tutorials and keynotes and sessions following. The conference prides itself on being one of the largest in the world of its kind, while still keeping informal and collegial enough to make it a fantastic place for attendees to connect and collaborate. The Strata + Hadoop World conference is held in four major cities across the globe throughout 2017. Toggle between the City tabs in the top right bar of their website for more information about each. Focussing on data as a whole, rather than just analytics, this conference is recognized as the most comprehensive educational conference on data management in the world and aims to help attendees transform their business into a data-driven business (which we think is the direction every business needs to take). Topics include big data trends and technologies, agile data analytics, designing an analytical data architecture, machine learning, data visualization and story-telling, the impact of big data, IoT, and the cloud on data warehouses, enterprise semantics and ontologies and much more. The MADS conference calls on all professionals that want to harness analytics and data science and leads attendees on a journey beyond the tools and techniques to ensure you walk out of session ready to drive impact. Focusses for this year’s event include predictive and prescriptive analytics, data visualization, machine learning and AI, text and sentiment analytics, business optimization, automation of marketing tasks, reporting data valuation and quality and much more. As with all Corinium events, this conference is primarily for C-Suite Executives (68%). In particular, CCO Melbourne is targeted for those in the CCO role. Along with the expected information and inspiration that come out of traditional conference sessions, Corinium events also pride themselves on their inclusive approach to discussions and networking that allow participants to get a lot more involved. Along with the phrase, “Strategy, Innovation and Product Development in the Age of the Customer”, Melbourne’s CCO key themes cover the A-B-C of the CCO role, customer centricity – CX design, leadership engagement, retention strategies etc., customer insight and intelligence – focussed on data-driven approaches and tools, culture and leadership within the human element – understanding the link between internal employee engagement and customer experience management, brand, marketing, product and demand as well as measuring the impact and ROI. Corinium host a range of global events for the C-Suite Executives within the Data, Analytics & Digital space. See all of them here. This conference makes acknowledgement of the ever-increasing amount of data on consumer behavior and demonstrates how to accurately analyze this data to gain a crucial advantage over competitors, by measuring your social outreach and unlocking key insights. Key topics include extracting emotions using sentiment analysis, measuring user behavior within pages, multi-platform consumer engagement and plenty more. The schedule includes 15+ hours of industry case studies, 18+ hours of networking (with 100+ senior level attendees and more), plus ongoing access to 1,000+ hours of additional content within Innovation Enterprise’s On Demand webinars and resources. Ending on full-day workshops, this conference covers all things big data and predictive analytics for business – from marketing segmentation to deep learning, supply chain to text analytics, analytics project management to open source demo and much, much more. The program features over 40 sessions and case studies delivered across 3 tracks: 1) All Audiences, 2) Expert/Practitioner and 3) Churn modeling (day 1) and marketing applications (day 2). Predictive Analytics World (PAW) also host a range of industry-targeted conferences over the year (and across the globe). PAW events are vendor-neutral, with participant boasting of the great experience they’ve had with quotes like “Hands down, best applied analytics conference I have ever attended” and “…the event met the highest expectations and provided a rewarding experience for all participants”. With a lineup of 25+ leading executives working within business analytics, business intelligence and predictive modelling, this summit is all about “smart business insights for smarter business decisions”. Key topics will include enhancing sales strategies, using analytics to drive customer satisfaction, driving holistic decision making with business analytics and plenty more. As with all Innovation Enterprise summits, you’ll also get access to on-demand content from a range of sources, including the summit itself – so you can relive your favourite sessions! Targeted at analytics leaders, information management and master data management, senior IT and business leaders, and architects, this conference is jam-packed with speakers and exhibitors that are experts in getting to the bottom of information and analytics challenges. With talks covering key topics such as ‘Build and execute an effective, holistic data and analytics strategy’, ‘Prepare for trends such as AI, Hadoop, IoT and Blockchain’, ‘Establish effective information governance for better quality, privacy and security’ and more, there’s sure to be talks, case studies and provider-exhibits that benefit everyone within the analytics industry. Targeted at analytics leaders, information management and master data management, senior IT and business leaders, and architects, this conference is jam-packed with speakers and exhibitors that are experts in getting to the bottom of information and analytics challenges. With talks covering key topics such as ‘Maximize the impact of your BI, MDM programs’, ‘Prepare for trends such as AI, Hadoop, IoT and Blockchain’, ‘Establish effective information governance for better quality, privacy and security’ and more, there’s sure to be talks, case studies and provider-exhibits that benefit everyone within the analytics industry. The Customer Analytics Innovation Summit discusses how we can deep dive into the data about browsing and buying patterns (that has become more and more accessible) and use it to identify, attract and retain. Basically, you’ll hear talks that encourage you to turn insight into action. Key topics include competing on customer intelligence, customer analytics in the age of social media, using analytics to deliver a more integrated customer experience and much more. Join more than 100 senior level attendees along with more than 20 industry leading speakers over a schedule that includes 20+ hours of networking and more than 20 industry case studies, with some awesome keynotes. Starting and ending on full-day workshops, this conference covers all things big data and predictive analytics for business – from marketing segmentation to deep learning, supply chain to text analytics, analytics project management to open source demo and much, much more. The conference is segmented into two tracks: 1 – All levels; 2 – Expert/Practitioners so there is something for everyone. Predictive Analytics World (PAW) also host a range of industry-targeted conferences over the year (and across the globe). PAW events are vendor-neutral, with participant boasting of the great experience they’ve had with quotes like “Hands down, best applied analytics conference I have ever attended” and “…the event met the highest expectations and provided a rewarding experience for all participants”. Speakers are yet to be announced. With workshops, presentations and panel discussions as well as a networking evening, this 2 day event covers a range of topics around sentiment analysis including NLP, sentiment, emotion technologies, customer journey transformation, text analytics for market research and consumer insights, customer experience and much more. In its 12th year running, this conference brings together researchers from across the globe who deal with the automatic analysis of images and signals in medicine, biotechnology, System Biology, chemistry, biometry, drug discovery and information robots in order to discuss the recent status of the research and to direct further developments. Boasting of applications in Medicine, r/g/b Biotechnology, Food Industries and Dietetics, Biometry and Security, Agriculture, Drug Discover, and System Biology the conference aims to shed light on how real world applications can be solved by applying new ground-breaking methods for signal and image analysis. Expect talks, tutorials and workshops and more across this 4 day event. KDD 2017 is a premier interdisciplinary conference bringing together researchers and practitioners from data science, data mining, knowledge discovery, large-scale data analytics, and big data. With full-day and half-day workshops, tutorials, innovative keynote presentations and much more, this is a conference with a great reputation. Check out how last year’s conference in San Francisco went to get a better idea of what’s in store. As the name suggests, this event is primarily for C-Suite Executives within the Data, Analytics & Digital space. Along with the expected information and inspiration that come out of traditional conference sessions, the Chief Data & Analytics Officer (CDAO) conference also prides itself on its inclusive approach to discussions and networking that allow participants to get a lot more involved. Themes for September’s edition of CDAO are still being confirmed. Along with plenty of networking opportunities with the expected 200+ senior level attendees, this summit focusses on the theme of ‘maximizing the potential of your big data initiatives’. Main topics include big data and analytics in business, advanced analytics offering insight, how to embrace data science and more. As with most Innovation Enterprise events, this summit boasts of great participant feedback, with participants noting the great diversity of industries represented, sharing of best practices, short quick-hit presentations and varied experiences of the speakers as highlights of the event. Speakers from: Speakers still to be announced. This 2 day program is now in its 7th year and focusses on the use of analytics within the health industry. Leaders in healthcare who are using data to improve the safety, quality and efficiency of their health services come together for keynote and peer reviewed presentations, masterclasses, debates, networking and exhibitions. Hear all about the emerging trend for personalized healthcare and consumer-collected health data with evidence-based case studies and insights into the opportunities to improve. Researchers, industry practitioners, as well as users of data science and big data analytics, come together to this premier forum. Expect talks and tutorials covering all data science and analytics related areas, including statistical, probabilistic and mathematical methods, machine learning, data and business analytics, data mining and knowledge discovery, infrastructure, storage, retrieval and search, privacy and security, and relevant applications, practices, tools and evaluation over two tracks: Research and Application. Part of the Analytics Innovation Festival, the Predictive Analytics Innovation Summit is the largest gathering of business executives at the forefront of predictive analytics initiatives. Key topics for this year include deploying predictive analytics, hiring your analytics team, unstructured data and text analytics and more. 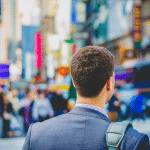 The Business Intelligence Innovation Summit and HR & Workforce Analytics Summit are also part of the Analytics Innovation Festival, held over the same days in Chicago this year. Another summit from Innovation Enterprise, this event focusses on ‘strategizing your data capabilities to maximize business performance. With simultaneous translation (Chinese/English), topics will include some of the key technologies that will dominate the Big Data market in 2017, logical data warehousing, real-time analytics, the steps customers can take to maximise advantage with Big Data in 2017 and much more. Learn from big data and analytics visionaries as they share insight, case studies and best practices on customer analytics, machine learning and the future of banking technology. Key topics throughout this 2 day event include customer analytics, fraud analytics, banking technology and digital currencies and more. Plus, with more than 20 hours of networking with the 150+ senior level attendees and 25+ industry leading speakers, there will be benefits galore! December’s summit theme is, “Drive Marketing Effectiveness & Prove ROI From Your Customer Analysis”. With a focus on how data, and particularly big data, can drive better results within marketing, key topics will include organizing for customer data management, cognitive science to drive customer targeting, big data & marketing modelling, mobile marketing analytics and loads more. And, as with most Innovation Enterprise events, the networking opportunities are well worth the trip. 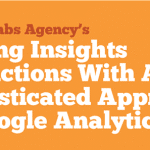 Have you downloaded our ‘Ultimate Guide to Google Analytics’ whitepaper series yet? Find it here. Ready to take control of your marketing and web analytics, but need some help? Give us a call on 03 9416 3033 (AUS) or +1 (650) 646-3793 (USA).